The Law of Attraction states that whatever you give consistent thought to, you will create. The Universe is attraction based and we get what we think about. And once you have given great thought to something with great emotion and then expect it to come, it will. Your thoughts are powerful magnets and you will get what you consistently think about whether you want it or not. The best way to use the Law of Attraction is to realize that you will get exactly what you give your greatest amount of thought too. Everything that you are living right now you attracted into your life the good the bad and the ugly. Most people do not like to hear this. I didn't like hearing it. But once you understand the Law of Attraction and learn how to use it to your benefit you will be able to think the thoughts that will help you to live the life that you desire and no longer will you attract the bad and ugly things into your life experience. So, if you truly believe that everything will work out, then it will. If you believe you will get sick, then you will call sickness into your life. 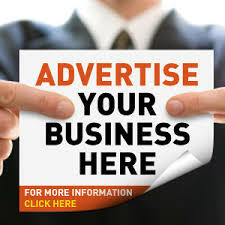 If you believe that you will be wealthy, then you will have the money that you desire. If you believe that you will be poor, then it will be hard for you to attract riches into your life. There is a huge difference between the way a rich person and a poor person thinks. Think of a person that you know that is struggling and constantly complaining about how broke they are. Have you seen any changes in their financial status? Think of any successful person that you know, let’s say for example Bill Gates, the guy that help to create Microsoft. Do you think that he walked around saying how broke he is and that he will never have money? No, he had to have been very confident in his skill to attract money in order to be the success that he is today. Some of the most successful people in the world believe and practice the Law of Attraction for example Oprah Winfrey, one of the most successful women in the world. Akonobi also cautioned that men should study their proposed wives closely and longer before engaging into marriage because “once you marry, no one else can put it asunder.” Nnewi was agog as dignitaries from all works of life trooped to the residence of Chief Onwugbenu for the memorable event. The dignitaries who were from both the military, political and manufacturing circles, including Col Akonobi, Hon. Clement Nwankwu, former member of the House of Representatives; Chairmen and Chief Executive Officers of Gabros International Limited and Innoson Vehicle Manufacturing Limited, Chief Gabriel and Innocent Chukwuma respectively, among others. The issue of high bride price was discussed extensively at the occasion. Hon. Nwankwu, in his own speech, prayed that Chief Onwugbenu and his wife would live long to enjoy the fruits of their children, especially those who married from outside their areas. Acccording to Punch, the deceased, only known by a nickname, Big Daddy, had slept overnight inside the bus, only to be found dead on Wednesday. A MEMBER of the executive of the National Union of Road Transport Workers, who declined to be named, said the driver might have been killed by depression resulting from a debt burden. (1) Divine Healing: Supernatural healing of your body without explanation. 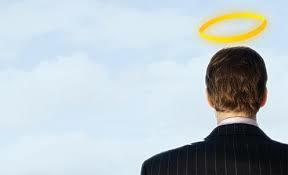 (2) Divine Health: Here, you don’t fall sick, but you may feel symptom, but you don’t suffer break down. The most challenging aspect of the compound effect is that you have to keep working on a particular thing over a long period of time. A little saved from time to time with consistency leads to great wealth. While a little spent from time to time with consistency leads to great waste. The future you wake up into the next 5,10 and 20 years is a function of just one thing:it is the compound effect of choices ,discipline and preparation and diligence taken from now. The compound law is always working ,whether to your benefit or demerit. Its a universal law. In order not to be a victim of this law,you must be deliberate in the application of this law to specific areas of your life starting from today. Take charge of your day! his party, the Peoples Democratic Party, PDP, lost to the opposition. of Police in Charge of Zone 6, Tunde Ogunshakin, from Rivers State. Abba, it was learnt, had deployed Ogunshakin from his base in Calabar to Port Harcourt to oversee the governorship election in Rivers State following complaints by Governor Rotimi Amaechi of Rivers State, that the police had collaborated with the Independent National Electoral Commission, INEC, and the PDP to intimidate APC members and rig the presidential and National Assembly elections in the state. Another source said the former police boss reportedly ignored presidency official’s objection to the deployment of Ogunshakin to Rivers State on the allegation that the police officer was sympathetic to Amaechi and his party and would, therefore, not allow the PDP win the state. immediate effect from Rivers State or face the consequences. The source said the presidency felt slighted when it could not get through to Abba. did not forgive Abba for redeploying Ogunshakin reluctantly. Another sin of the former IG was his presence at the presentation of the Certificate of Return to Muhammadu Buhari at the International Conference Centre on April 1, 2015, which convinced the Presidency that the IG was actually working for the opposition and it moved quickly against him. The Senior Special Adviser to the President on Public Affairs, Dr. Doyin Okupe, could not also be reached for comments on the development. Abba’s sack was announced by the president’s spokesman, Reuben Abati, in a statement yesterday. No reason was given for the sack while a Deputy Inspector-General of Police, Solomon Arase, was appointed to act in his stead. Abati’s statement read in full: “President Goodluck Jonathan has relieved the Inspector-General of Police, Mr. Suleiman Abba, of his appointment and duties with immediate effect. Abba was, until that appointment, an Assistant Inspector General, AIG, in charge of Zone 7 Command, a position he occupied since May 25, 2012. He was also an Aide-De-Camp, ADC, to the wife of a former military Head of State, Maryam Abacha. With his removal, Mr. Abba will proceed on forced retirement, four years before he attains retirement age. He enlisted in the Nigeria Police as Cadet Inspector on December 31, 1984 and is actually due for retirement on March 22, 2019.
so we were in their sight." land after their servitude in Egypt for 430 years. face to face with our own border. dreams will be tested thoroughly. two cities, towns or nations. However, the drama at the border is interesting. life so far, as you are about crossing over. It's because a new day is about to break! Remember, a new day is about to dawn for you. drama plays out like the 10 spies. not come to stay, rather it has come to pass! Be encouraged to keep at it...it's worth it dear friend! month...anything good can still happen for you! 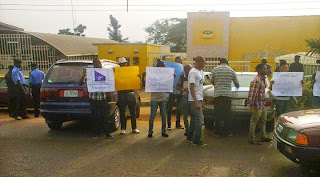 MTN Nigeria on Monday threatened that over 6,000 direct employee will loose their jobs and over 500,000 will lose their means of livelihood. if they are forced out of Nigeria. "There are only 12 expatriates working for the company in the country, compared to a workforce of 6,000 Nigerians. “So, if people go ahead with their threats to attack our facilities, what that means is that we may be forced to close down the business in Nigeria and about 6,000 Nigerians that make up 99 per cent of our workforce will be unemployed. DEPART FROM THE ECHO CHAMBER! man by the name John the Baptist. For some time now, I’ve been ruminating over why so many single people are pressured about marriage in the church community. Most churches are quick to deny this. They say; “No one is pressuring you, it’s okay to be single and serve God…” and other patronising statements like that but every time special programs are organised for singles, the theme will always revolve around relationships, dating and marriage. Look, we have single people and we have married people. Not everyone is meant to be married. I believe that there is no such thing as a healthy church until we bring back God’s call to singleness inside the church. We won’t glorify God completely unless we have a vibrant single’s community. And I’m not talking about a “meet other singles and network for dating opportunity” kind of single’s fellowship most churches have. I’m talking about real singles. People that authentically believe they are called and are willing to forgo the pleasures of marriage and enjoyment of sexuality, because they have committed their lives to the cause of the gospel, and they believe what God has to offer them is bigger than what the world offers in this area. Marriage is also a high calling. For those who are called to be married, it’s a calling to show the world, the beautiful picture of the relationship between Christ and his church. So, both marriage and singleness are high callings. And together, we paint an accurate picture of God. However, it’s so sad that in most Nigerian churches today, single people are treated like they have a problem. Married people are celebrated and are somehow ranked “higher” or considered “more matured” than single people. That’s why in some congregations, a single person cannot Pastor or be an Elder, and single’s fellowships are all about “how to find a husband/wife”. Some churches even go to great lengths to match-make single members of the congregation and in some places, when you’re a lady or gentleman above thirty and unmarried, everyone gives you this patronising look and its written plainly on their faces that they think something is wrong with you. I happen to believe there is a beautiful call to singleness, and while I know that there are loads of single people who desire to be married, I also know that in the desire to be married, most are missing the privilege of being single now. No one has the right to determine your marital status. Not even you. Your job is to walk with God and let him determine your marital status. Some of us are called to be married; some of us are called to be single. But with one purpose; to display the glory of God and to fulfil his purpose on earth. It was not however ascertained whether the family paid the 13 million Naira ransom demanded by the abductor or not. 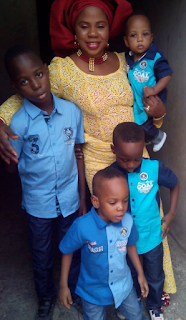 The three Orekoya boys Aderomola (11 months old), Adedamola (4 years old), Demola (6 years old) were abducted by their 23-year-old nanny who was employed through OLX , and absconded with the three, just the following day after she resumed.